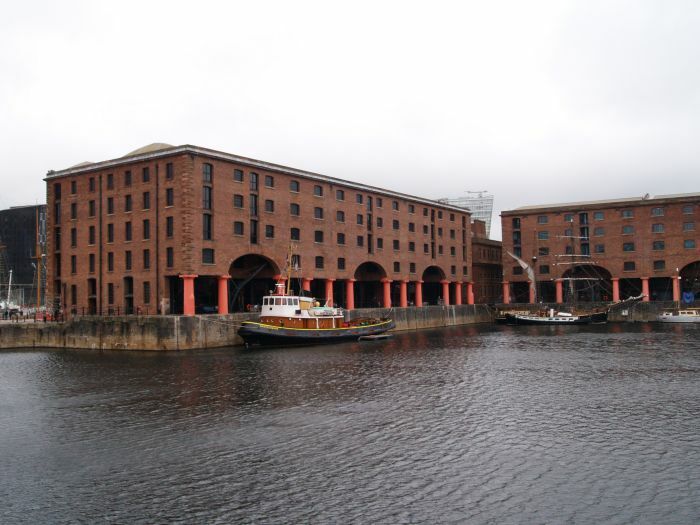 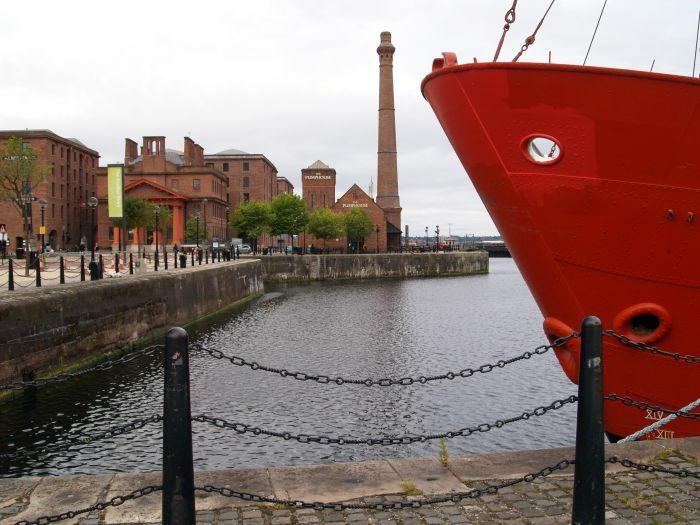 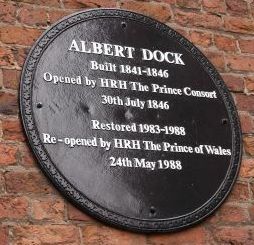 The Albert Dock was built between 1841 and 1846 and has been developed into a major tourist attraction in the great City of Liverpool. 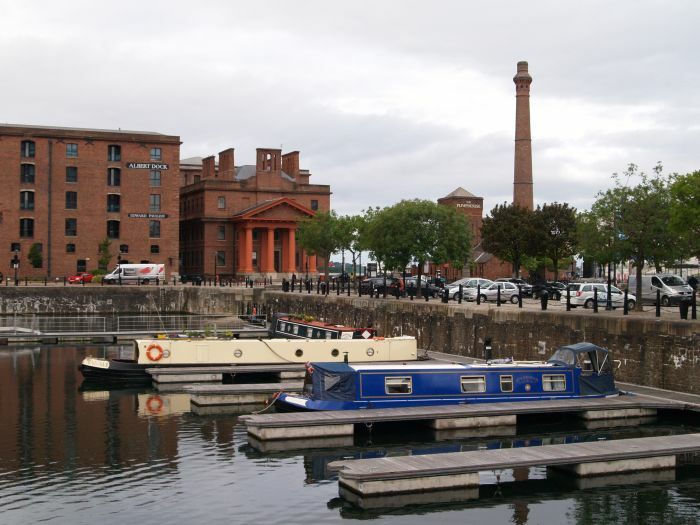 'The Three Graces' from the Albert Dock. 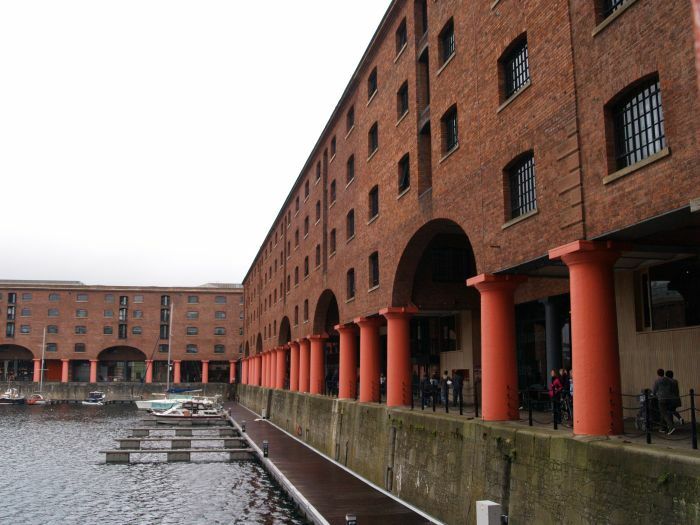 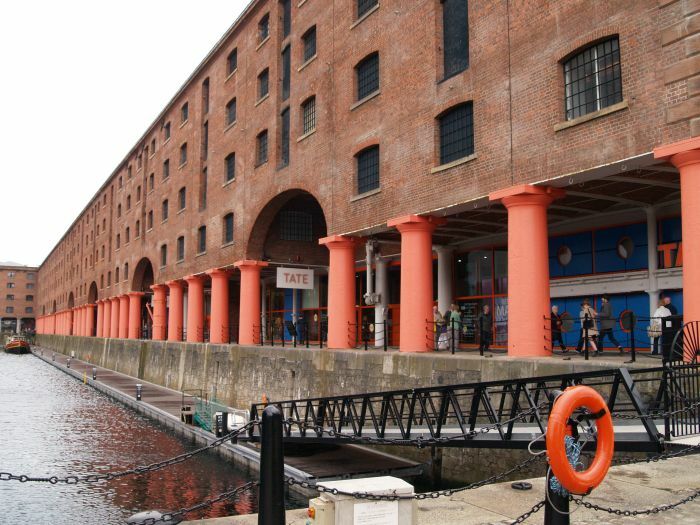 The might pillars of the colonnades of the quayside of Albert Dock. 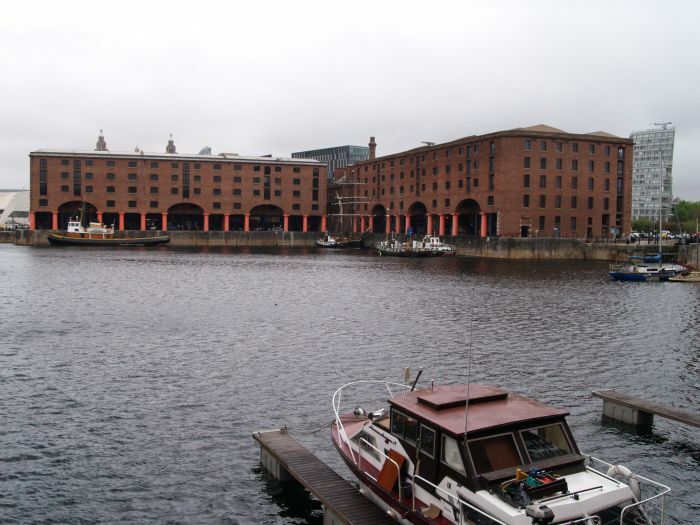 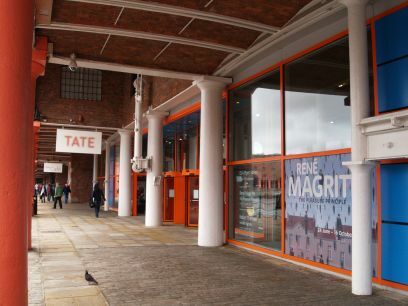 The Albert Dock with the entrance to the Tate Modern on the right. 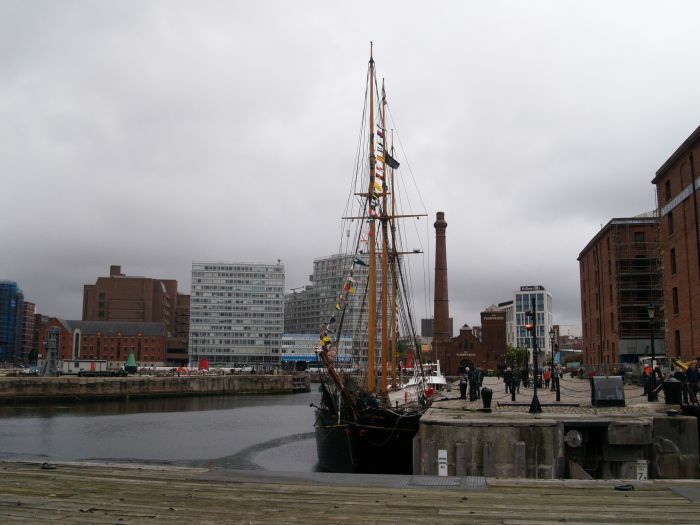 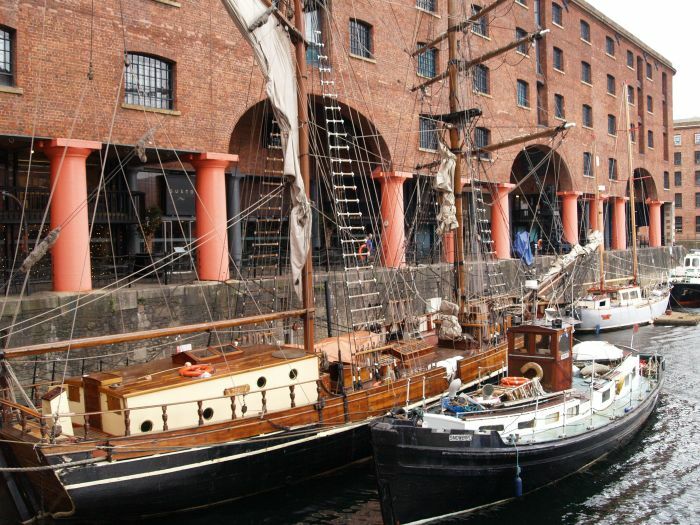 Some older boats in Albert Dock. 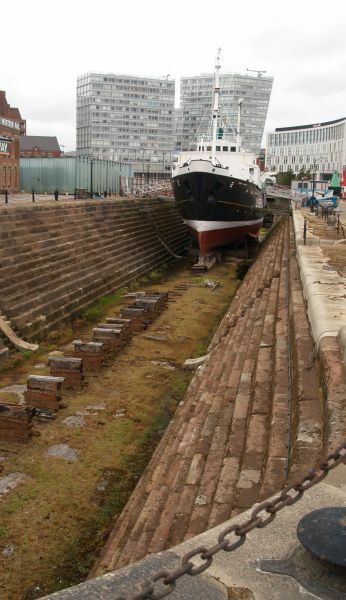 The De Wadden in Canning dry dock, she was built in 1917 as a trading ship carrying coal, timber, stone and grain between the Port of Liverpool and ports in Ireland from 1922 and 1961. 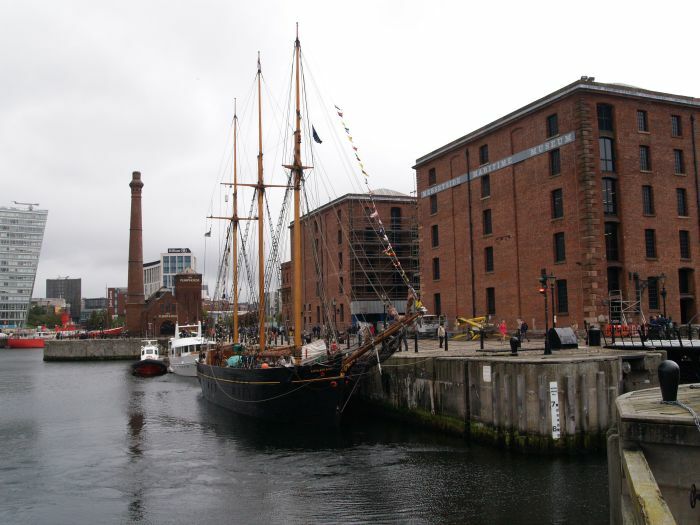 She was Dutch built, with both sails and engine in 1917 by Gebr van Diepen of Waterhuizen in the Netherlands and was the last ship working on the Mersey using sails and a fine piece of Liverpool's marine heritage. 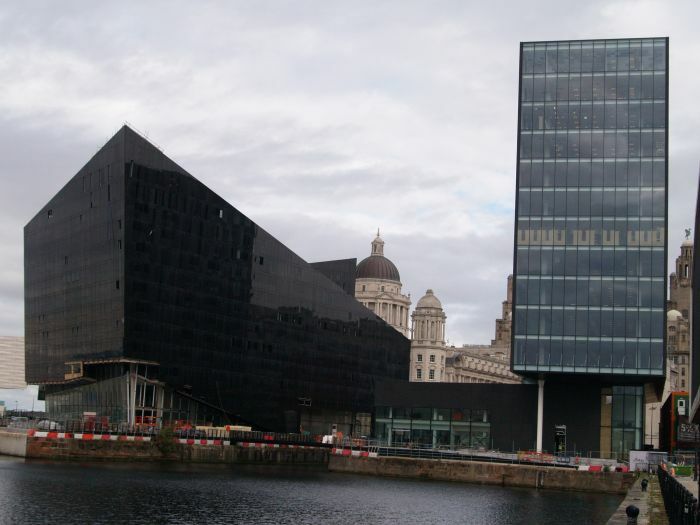 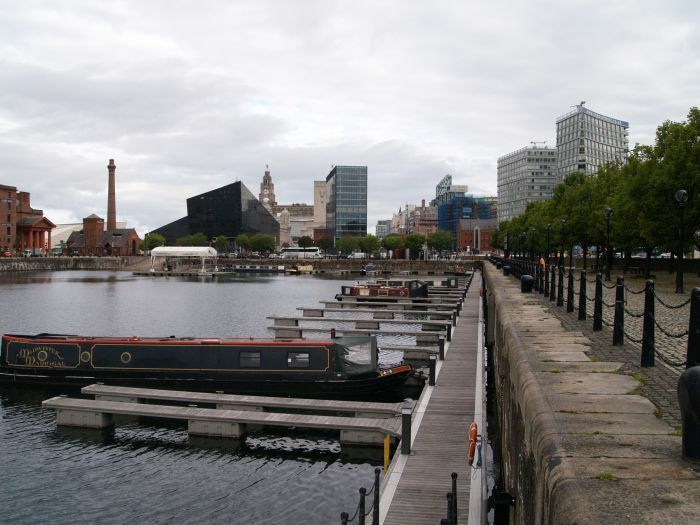 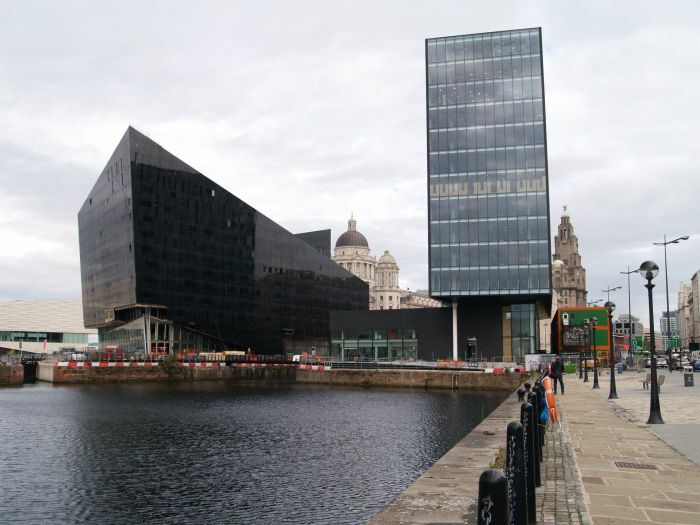 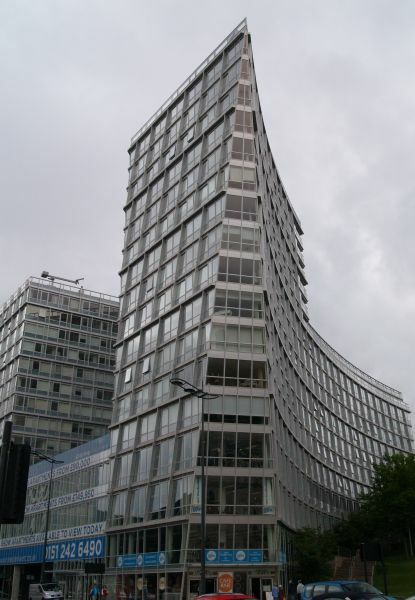 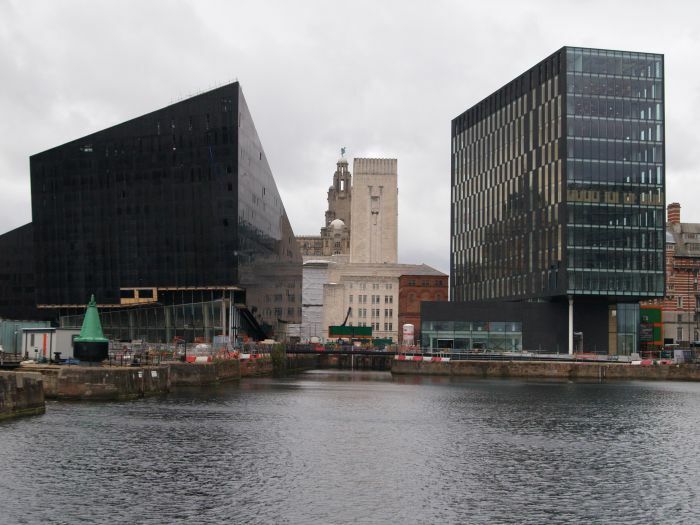 Canning Dock and the buildings of the Mann Island properties. 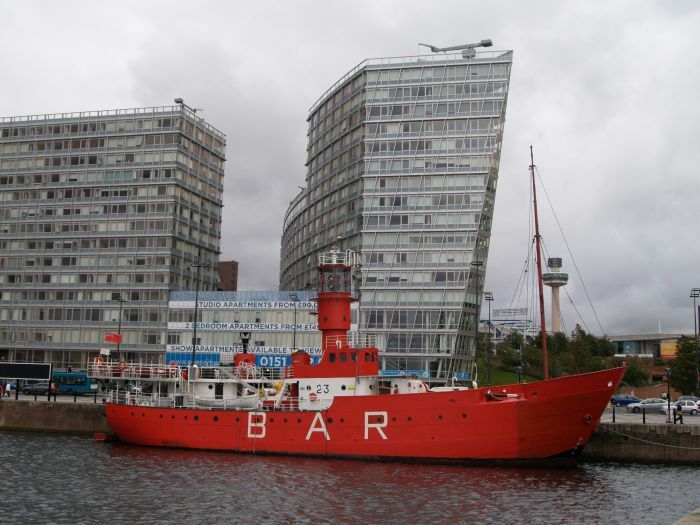 Above & below: The 'retired' BAR Mersey Bar Lightship Planet? 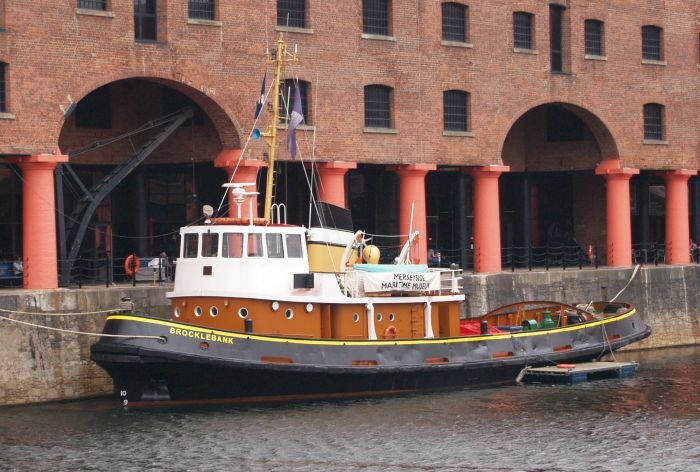 and Channel Light Vessel No 23 in Canning Dock. 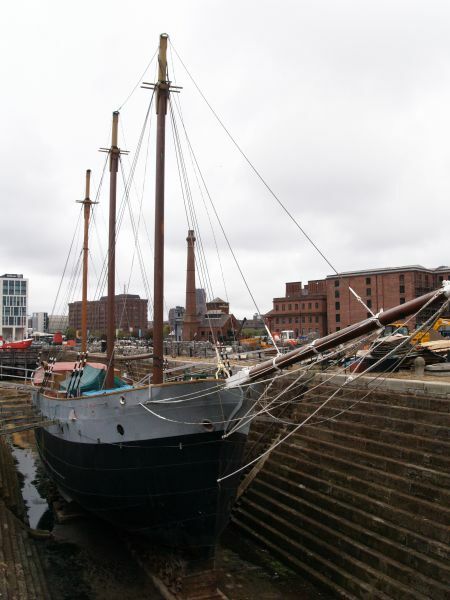 She was built in 1960 at Dartmouth. 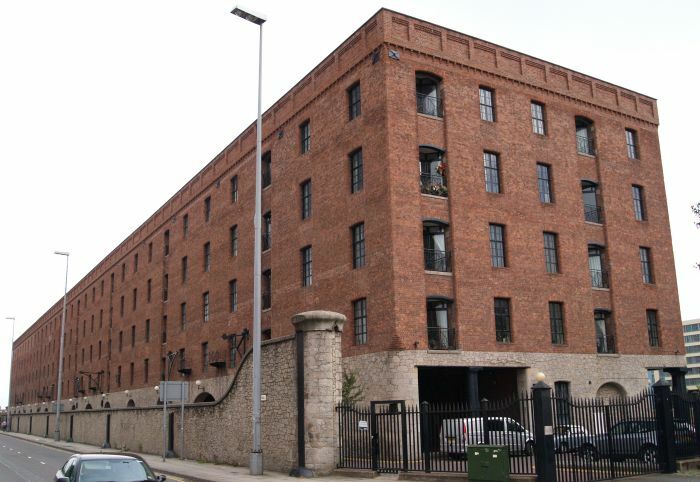 Beyond stands some very 'modern' apartments-flats and a gym! 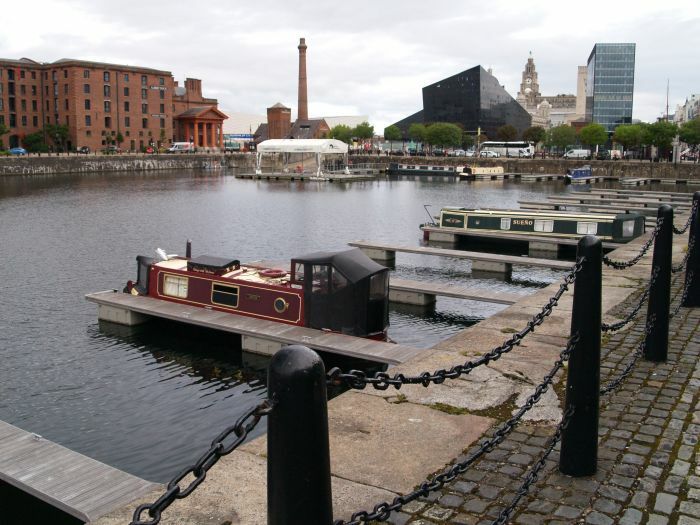 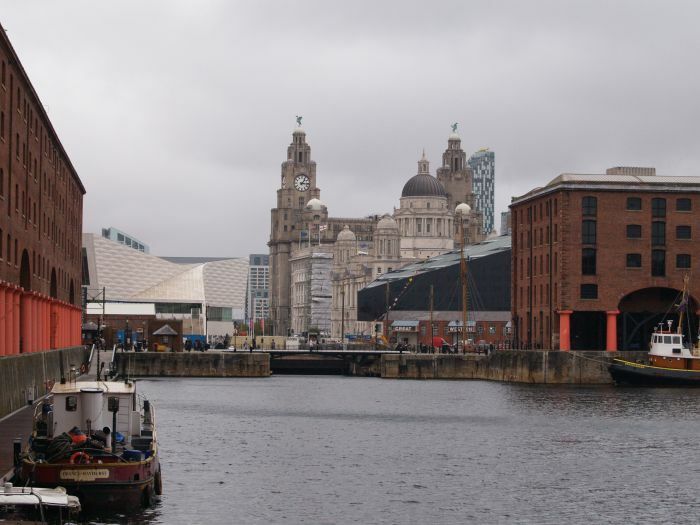 Canning Dock, on the right the retired BAR lightship and beyond the pumphouse and chimney..
Barges moored in Salthouse Dock, with the Pier Head and man Island buildings beyond. 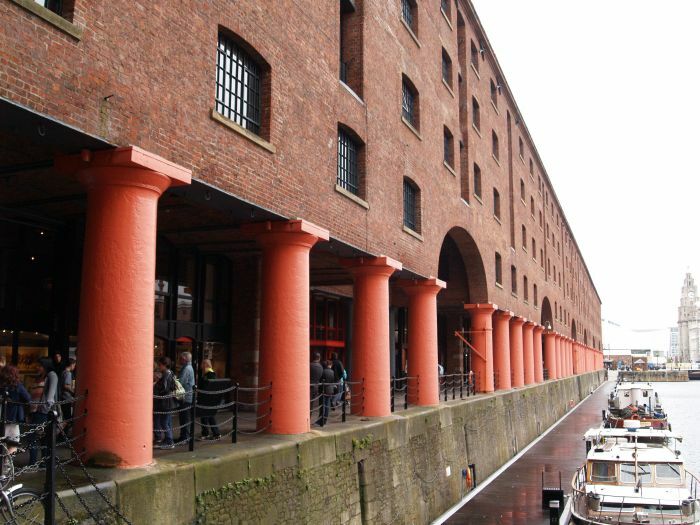 Salthouse Dock and the pillars of the grand entrance portico of Albert Dock.